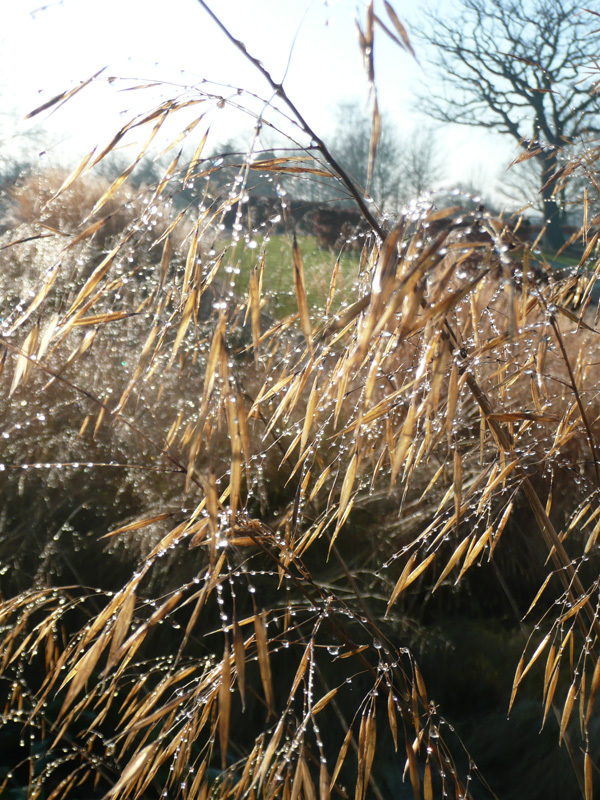 I popped down to Wisley on a frosty chilly morning and the winter displays were wonderful! So I thought I would share with you the great winter structure that is out there if you leave it on display long into the winter months. 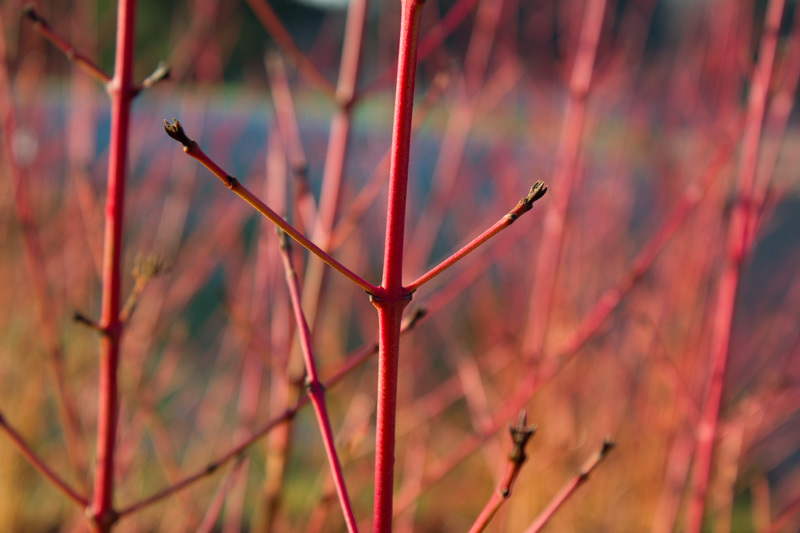 Cornus alba ‘Sibirica’ (deep red stems). Various shapes and textures are a must when designing for all season interest. 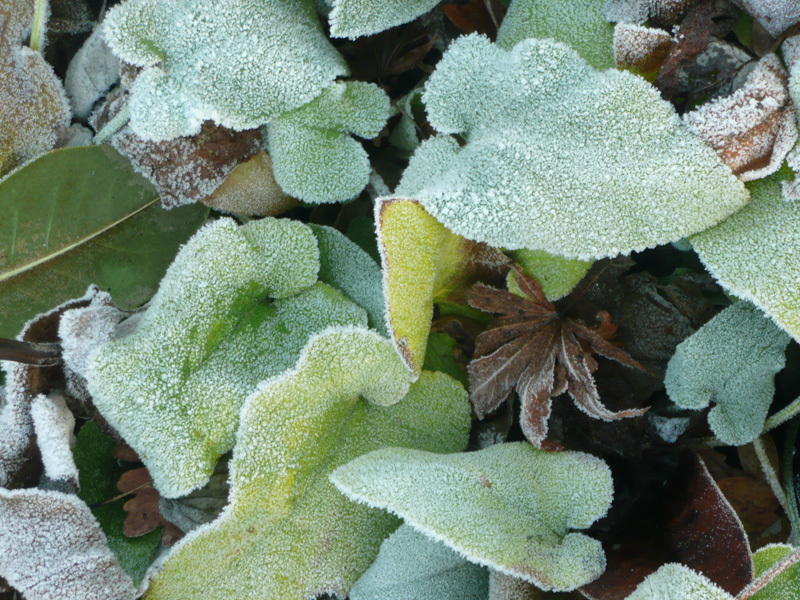 Frosty mornings like this one can be a real treat as the shapes and forms are highlighted. A winter wonderland! 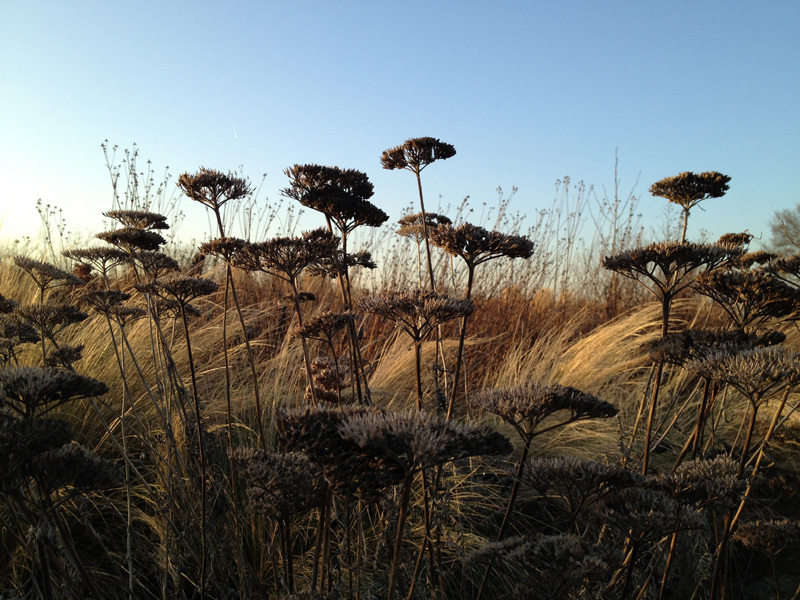 Seed heads and dried flower spikes are wonderful additions to a planting scheme. Dont be tempted to cut these back becasue they are brown. 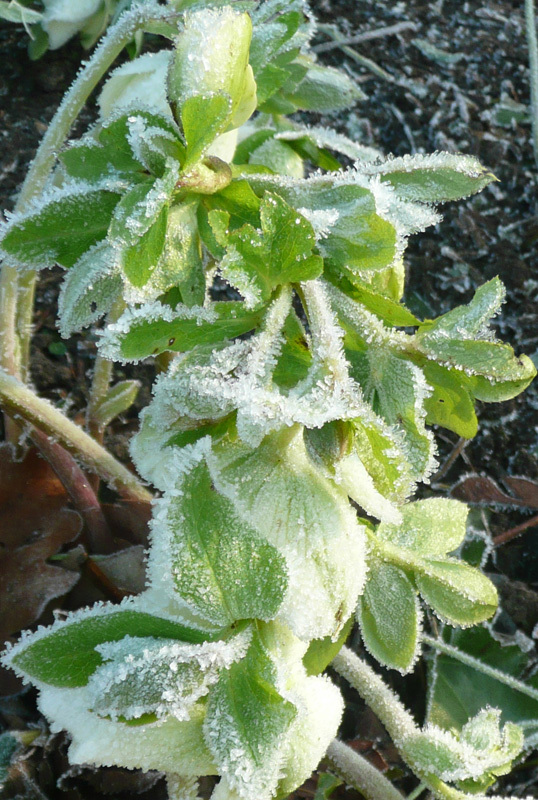 Enjoy watching the plants change over the seasons and be rewarded with a different kind of beauty late into the winter. Species to consider are Sedum, Phlomis, Echinacea, Stipa, Calamagrostis and Miscanthus amongst others. In our gardens we aim to strike a balance between evergreen and seasonal planting to provide all round interest in your garden.